Teac X 2000 BL, mint for sale. 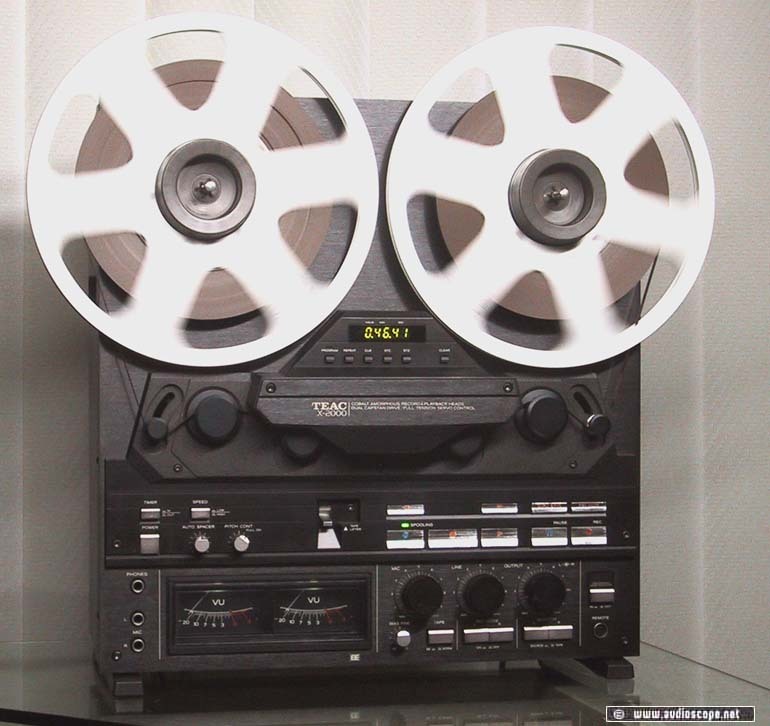 Top » Gallery (SOLD) » RTR Tape Decks » Teac X 2000 BL, wie neu! This is one of the nost wanted high end reel to reel tapedecks. It features stereo 4 track, single side recording, 3 heads, 2 speed and DBX noise reductin.